Fashion exists through its representation. As Roland Barthes suggests, this is not ‘real clothing’ burdened with practical considerations, but ‘image clothing’ whose purpose is to signify symbolic meaning. [i] The fashion image, be it photograph, film or catwalk performance has become as culturally significant as the fashion object itself. Compelling stories of romance, drama, mystery and suspense have been constructed around clothing, providing the fashion object with its mythic and symbolic quotient. Fashion phantasmagoria questions and critiques the mediation of contemporary fashion through its images – the ‘magic delusion’ of the dream world of fashion is considered and the slights of hand that mask its production laid bare. [i] Barthes, R. 1991, The Fashion System, trans. M. Ward & R. Howard,University of California Press, Berkley, p.8. As a conceptual fashion designer Martin Margiela’s deconstructionist clothing complies with many of the avant-garde techniques adopted by post-modern contemporary artists. In particular Margiela’s refusal of the fashion system through lack of labeling, anonymity and collaborative process are comparable to the institutional critiques that have emerged in conceptual art. Margiela’s recontextualisation of everyday and discarded fragments of clothing and other recycled objects has parallels in Duchamp’s readymades and the work of contemporary artists such as Tom Friedman both of whom question the types of objects that might be considered within art’s contextual frame. The fact that everyday objects have been considered as art since the early twentieth century gives credence to the consideration of Margiela’s garments as an artform. Further evidence of Margiela’s avant-garde tendencies and postmodern critique can be interpreted in his deconstructionist and reconstructionist methods that calls in to question the craftsmanship associated with Haute Couture. Margiela has a highly sophisticated understanding of traditional tailoring and patternmaking. That his garments frequently feature recycled garments restructured and reconsidered is testament to his ability to transform materials, for example his use of unravelled socks to make new woolen sweaters or old business ties to make jackets conveys the designers affinity with the old. In giving condemned clothing new life Margiela’s garments have historical resonance but also avoid the fashion system’s penchant for constant change and the ‘new-for-newness-sake’ of seasonal collections. 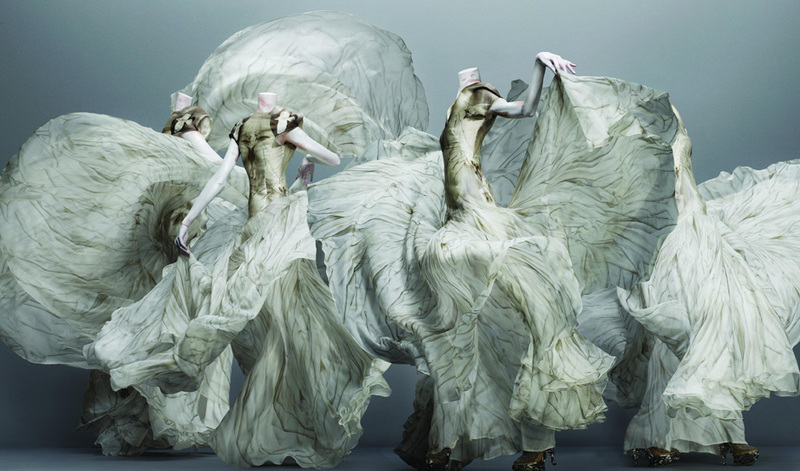 Instead his garments are suggestive of an on-going body of work that is constantly evolving. 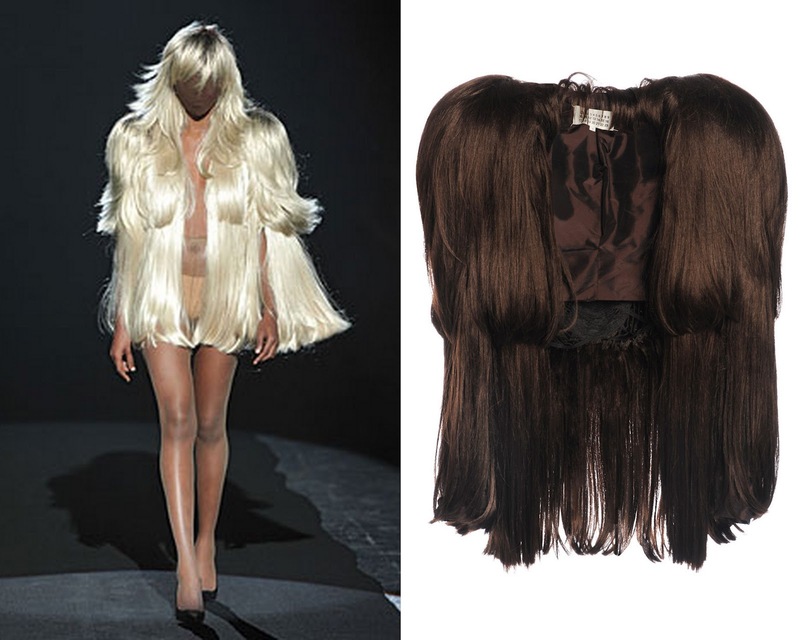 Margiela’s wig-coat is just one example of the way he has used abject materials to create high-fashion. Operating in the same frame as Elsa Schiaparelli’s surrealist fashion from the 1920s and 30s, Margiela questions perceived notions of beauty and glamour. In transgressing and subverting the idea that luxury fashion can only be made from expensive and beautiful materials coupled with the exposure of haute-couture techniques through deconstructive strategies, Margiela presents fashion as a conceptual concern rather than aesthetic strategy.